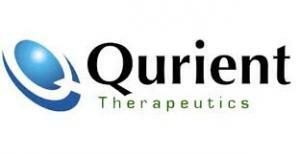 Qurient said Wednesday that it held a poster session to present the preclinical trial results for Q702, an immunotherapy candidate, at the American Association for Cancer Research (AACR) held in Atlanta, Ga. Through the poster session, the company explained the triple inhibitor Q702, which inhibits Axl, Mer and CSF1R, showed efficacy as an immunotherapeutic drug by participating in the tumor microenvironment and inhibiting cancer cell resistance. In particular, the company highlighted the immune activation mechanism of Q702 through advanced research techniques such as transcriptome analysis and flow cytometry in the tumor microenvironment. Cancer cells increase immune-suppressing M2 macrophages and myeloid-derived suppressor cells while inhibiting the M1 macrophages involved in immune activation, which inhibits the activation of T cell, the primary mechanism of anti-cancer immunity. The company confirmed that Q702 relieved such immunosuppression, while the degree of immune activation was superior to the competing compound. “This announcement demonstrates efficacy as not only an immunotherapeutic agent but also the potential for overcoming drug resistance, which frequently occurs in non-small cell lung cancer,” the company said. Qurient also reported in a non-small cell lung cancer model resistant to long-term Tarceva doses, the results of stopping tolerance growth when combined with Q702 and Tarceva. Qurient said it plans to submit an investigational new drug application by the end of this year.